Then maybe they'd share with me how this eclectic composition was put together. 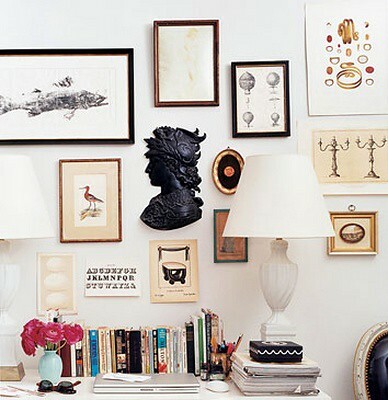 I'm still trying to learn how to create arrangements like this on the wall, but I gotta tell ya, it's not easy. Maybe if I kept looking at images like this, I'll become de-sensitized and will have the courage to create one one of these days.